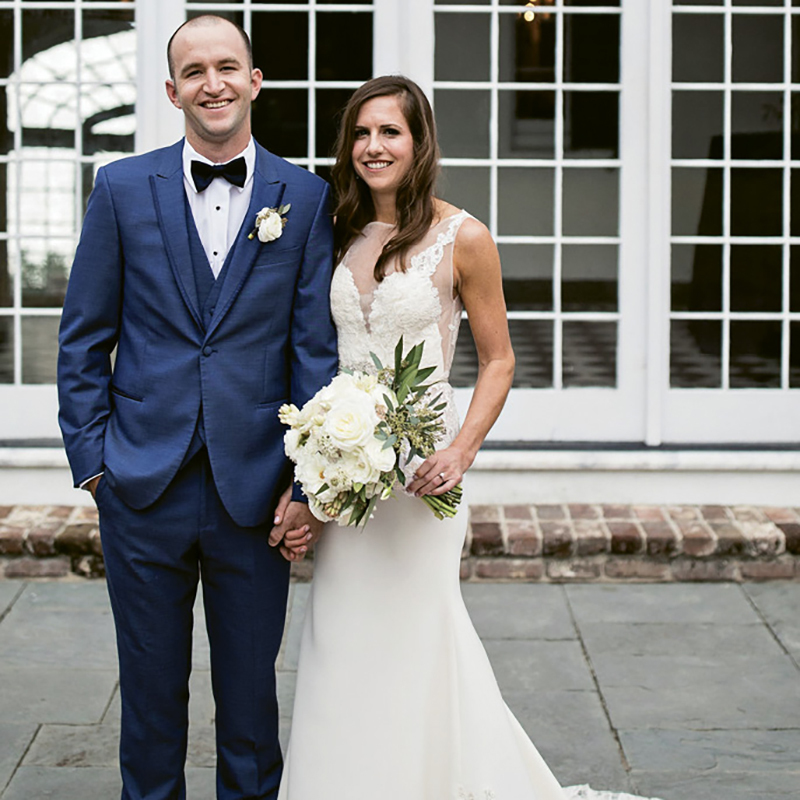 Ali and KJ met while out one weekend at the University of North Carolina at Wilmington, quickly realizing that they had grown up just minutes apart from each other on the Jersey Shore. KJ, a City of Charleston firefighter, proposed to Ali, an accountant, as the two walked to their boat at Bristol Marina one Sunday morning. The couple wed at Sacred Heart Church downtown before holding a reception at Lowndes Grove Plantation on the Ashley River.